I didn’t have high hopes for this as the feedback we received was you couldn’t transplant pak choi. Low and behold, it’s looking fabulous! 🙂 We stepped it up to a larger pot then have since put it between the broccoli and fingers crossed it is doing well. 🙂 Can’t wait to eat it! 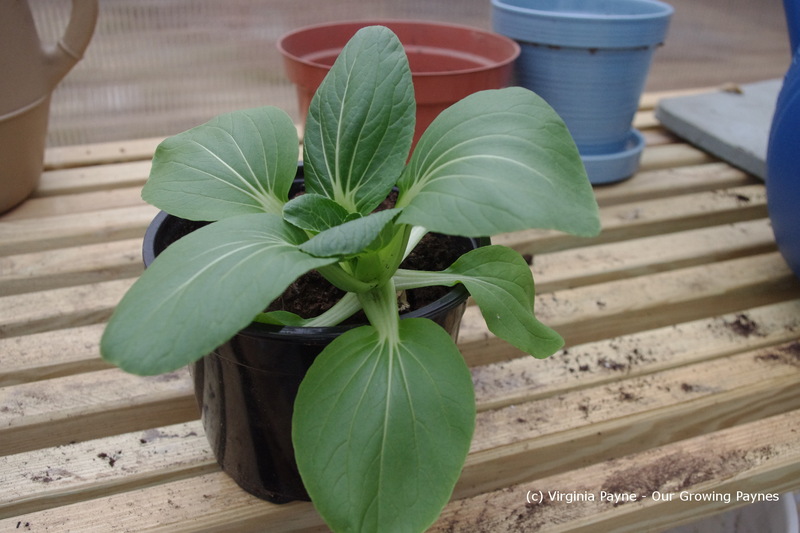 This entry was posted in Gardening and tagged bok choi, garden, gardening, kitchen gardens, pak choi, vegetarian. Bookmark the permalink. Nice idea, growing your own pak choi. Looks beautiful, too. I know nothing about growing pak choi but you’re obviously doing something right. Good for you! you have created magic already. lovely.